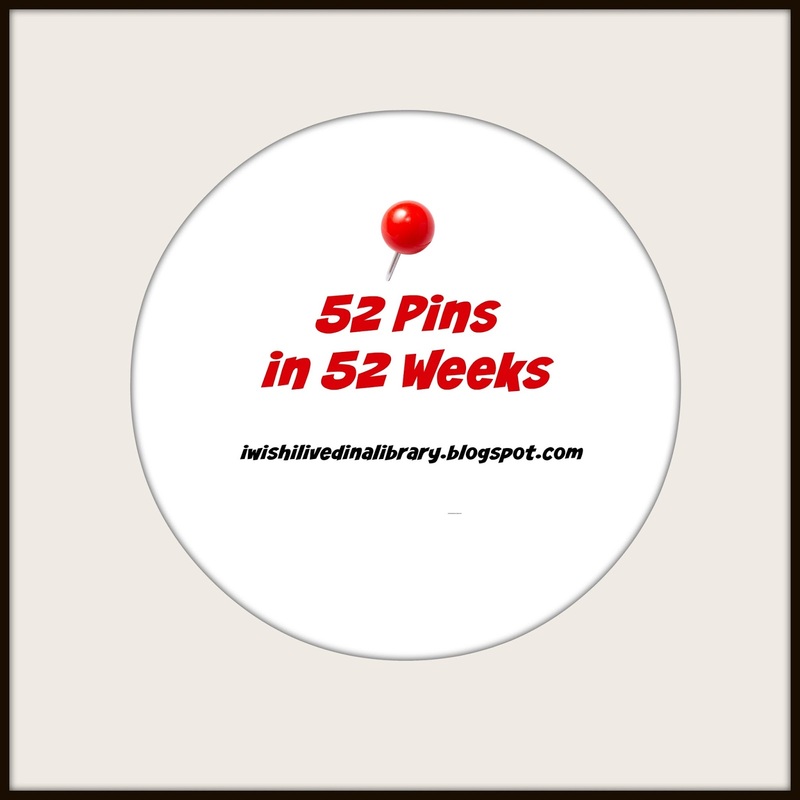 This month I'm missing a week because things got super hectic but I'm planning on doing 2 pins next week so I'll have an extra in August! I'm looking forward to chunky cucumber relish and Nutter Butter cupcakes coming up this week. Reason Picked: I was in the mood for cheesecake! The Basic Idea: A traditional New York style cheesecake with a slightly lighter texture topped with a strawberry sauce. The Results: Meh. I had some hesitations based on the cooking time because it seemed to long but I didn't really love the flavor of the batter itself. It ended up being too dry (cooking time) but the flavor wasn't something I'd want to try again anyway. I've normally had good luck with this blog but this was not a winner. I deleted the pin. The Basic Idea: Combine colored water and oil in a bottle, shake it up and observe. The Results: This was easy and fun. I used a 16 oz bottle because I had one on hand and it worked fine. I think it was a bit too simple for the Tornado (he's 6) but it'd be a great one to do with younger kids and he had a good time with it. Reason Picked: I love cheese and bacon - especially if it's topping potatoes and other things! The Basic Idea: Cook chicken, potatoes, peppers and onions in a skillet. Add bacon, top with cheese and let the cheese melt. Serve. The Results: For some reason I had it in my head that this dish was going to be coordinated. It's basically a one pot meal though another pot is required to boil the potatoes but that's done early on so you can wash that pot while the rest is cooking. I used a garlic seasoning blend instead of the cajun seasoning because J isn't a fan. I also used 2 red bell peppers instead of 1 red and 1 green because I don't like green (they really do taste different! Really!). The result was really good. J didn't want cheese on his so I only topped about a third of the skillet with cheese. It's also work great with sausage instead of chicken as a breakfast dish. I'll definitely be making it again! The Basic Idea: A combination of Epsom salts, rock salt, baking soda and citric acid that fizzes up when you add it to a bath. The Results: I really liked this one and it was super simple. to put together. I accidentally ended up with scented Epsom salt so I didn't add essential oils to the bath like she recommended. The fizz was fun and I like the skin softening of the baking soda addition. This is definitely something I'd make again and I like the freedom to use either different scented Epsom salts or different essential oil blends. All the ingredients were easy to find with the exception of the citric acid but I was able to buy a pretty good bit of that on Amazon for not very much. I've been wanting to try bath bombs and a few other things that called for citric acid so I was glad to go on and get some. I do if I know there's an author or particular subject that someone is really interested in. This week's book is one I saw at the library and just couldn't resist. I love foodie books and books where people are finding themselves through cooking definitely is a book for me. 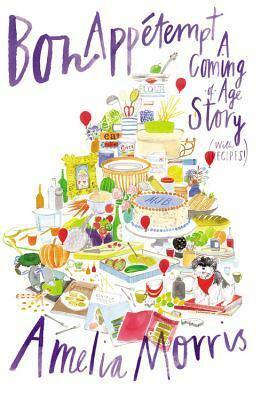 Throw in some recipes and there was no way I was leaving Bon Appetempt by Amelia Morris on the endcap at the library! So far I'm really enjoying it! The movers left less than twenty-four hours ago, so it's not until I go to toast my Trader Joe's brand Cheerios, Joe's O's - perhaps a classy acknowledgment of the fact that they're blatantly ripping off Cheerios, right down to the bold yellow, oversize cereal box - that I remember I'd decided to put off cleaning out the refrigerator at our old apartment until tomorrow, and so the butter I need is sitting in our butter try on the other side of town. Isn't this the way of things with moving? You either discover you've packed up the very thing you need or that you haven't packed it up but it happens to be at the wrong location! Another feeling I can identify with! I remember heading towards the end of my college career all to well when I realized that I was actually going to have to get a full time job in this field I'd been studying for 4 years. The idea of not having any homework was impossible to comprehend as was the idea of being a completely self-supporting adult! It did end up working out but it felt a bit like standing on the edge of a cliff. So what do you think? Keep reading? Any books just have to come home with you lately? 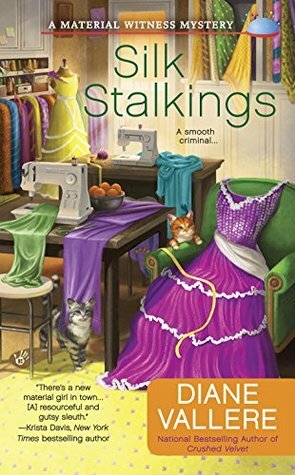 Why I Picked This Book: Diane Vallere is pretty much my go-to author when I want a fun cozy mystery and I really like this series featuring Poly who owns a fabric store. My Impression: Can I live in Diane Vallere's world? There's a bath store named Bubble, Bubble, Toil and Trouble. There's rather interesting sounding citrus, an adorable sounding tea shop full of delicious sounding treats, and a fabric store that I'd gladly spend hours in even though I don't even sew. Add in some characters who are flawed but likable and willing to listen even if their first impulse is to be defensive and I'd move to San Ladron right now! And did I mention the bath store? Despite the fact that I'm quite sure she'd get me into trouble Poly is definitely a main character I would want to hang out with. She's got a sense of humor, she's smart, passionate about what she does, and incredibly curious about things that don't add up. She's also willing to think about situations from other people's POV and make amends if needed. I love when she really thought about her argument with Vaughn and will willing to admit that she had messed up;. I also liked that once he had cooled down Vaughn was willing to listen. I love Genevieve too and her willingness to go along with Poly's nosiness. Not everyone in the town are candidates for a new BFF but no one comes off as straight villain or perfect. Every character has good and bad aspects though one can definitely outweigh the other. The mystery itself is what I've come to expect from Vallere's books. It's cleverly woven into the story and not everything is as it seems. Poly's presence in the investigation made sense and wasn't strictly because she's nosy. 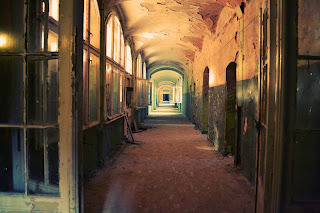 While I did guess the killer at around the halfway point it was more because I read a lot of mysteries than anything being too obvious.And even though I had guessed who it was I wasn't sure I was right or how everything would be revealed until the very end. While the characters of the book lean towards wackiness and the store names are on the cutesy side they mystery itself isn't wacky or cutesy but instead is solid, well done, and page turning. This is a fun mystery with likable characters and a setting I'm always glad to revisit. This is the 3rd book in the Material Witness series and the 2nd one I've read. 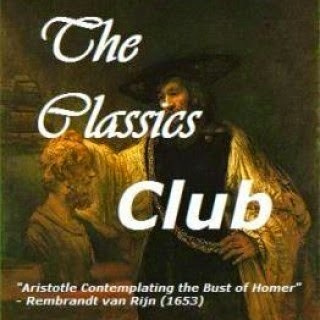 Like most mysteries you can jump in wherever you like without too much trouble. With an amateur detective and the bulk of the violence happening mostly off page it definitely meets the cozy mystery definition but I think it would appeal to anyone who is looking for an entertaining read. 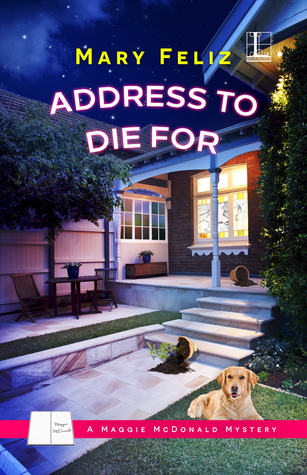 Diane Vallere is one of my favorite mystery authors and I can't wait for the next book! Would I Read More of this Series/Author? : Absolutely! I'm already looking forward to the next book in this or the costume shop mystery series. Would I Recommend this Book? : Definitely! This is such a fun series and I love her other books as well. Why I Picked This Book: I've read a few books in this series and have really enjoyed them all. My Impression: When I start an Olivia Miles book I know I'm not getting a simple story and this newest addition to the Briar Creek series is no exception. There are complications, histories, secrets, and all kinds of matchmaking mothers! Ivy and Brett are complicated people with more than their share of baggage and neither really want to be in a serious committed relationship despite the fact that they are seriously attracted to each other. There are a lot of side characters involved as well who have their own hang ups which adds so much to the small town feel but never crosses over into confusing. We see Ivy's relationship with her brother, her brother's fiance, and a number of friends all of whom she's known practically since birth and I really enjoyed seeing that side to her. In the same way you could feel the distance Brett kept from his family, friends and home town. He has his own demons caused by his father abandoning him and struggles with it regularly. He really really doesn't want to be attracted to Ivy despite the fact that he really really is. I think because of this distance it took me awhile to warm up to Brett but as the book went on I did come to understand him more and was able to root for a happy ending. Ivy keeps her distance with her friends by keeping a very large secret which in some ways didn't make sense to me but I could see her side of things. I did think she needed to take up yoga or something to help her deal with her attraction to Brett! For awhile I didn't see how either would deal with their baggage enough to have a healthy relationship but I was very pleased with how it turned out! Briar Creek is full of interesting characters that feel like real people. They have their damage but they also have their successes. 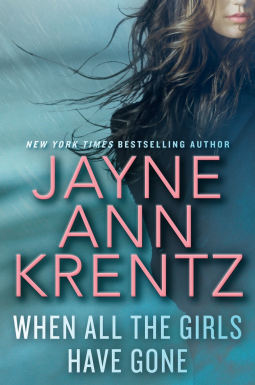 Often in small town books a lot of side characters mean I'm going to be confused and distracted from the main couple but that was not the case in this book. If anything the side characters made it easier for me to engage with Ivy and Brett. There are a number of characters that we've met in previous books but if you're new to the series have no fear. I haven't read all of the books and it's been awhile since I read the last one but I had problem keeping track of who was who and all that. Overall, this is an entertaining book with characters who I liked even if they drove me crazy sometimes! This isn't a fluffy light romance but it doesn't go over into too angst-y either. A great pick for when you're in the mood for contemporary but want a little more heart and grit. Would I Read More of this Series/Author? : Absolutely. I haven't read one book in this series and I'm looking forward to going back and reading it and then seeing what comes next. Would I Recommend this Book? : If you like contemporary romances I think you would enjoy this book and the series overall. 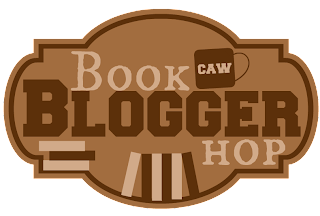 This week's Top Ten Tuesday topic from The Broke and the Bookish is Ten Things Books Have Made Me Want to Learn or Do After Reading Them. I love when a book has me googling something because I just have to know more and usually that means that the book has really connected with me on some level! 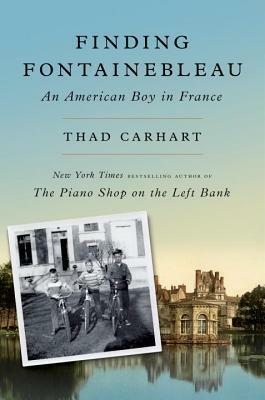 I found this book which mixed in the history of France through a look at Fontainebleau with the story of an American family in France in the 1950s absolutely fascinating. It also showed me just how little I know about French history and I really want to fix that! Before I was bitten by the gardening bug this book had me wanting to learn all about roses - the history, the variety and the people involved with making sure they survived. I'm familiar with Tiffany but had never heard about the women he had working for him in the early 20th century. I loved reading the letters and diaries that Stein's main character discovers and it made me want to learn more about the women. I've of course heard of Stonehenge and have seen it in countless pictures, TV shows and movies but I've never been particularly interested in it or really knew that there were others like it scattered about. I read both books pretty close together and they both talk a lot about the different sites and I've really become fascinated by what's known about them. The entire plot of this book revolves around bridge playing and I have no idea how the game works. 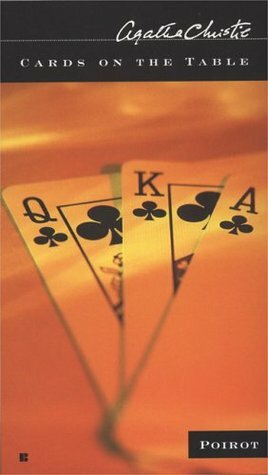 After reading this book I tried to look into the rules but didn't get very far and then J and I were watching a show where a group was playing bridge and it essentially looked like 4 people were sitting around a table holding cards and saying different random words and then getting sad or excited. I don't sit still very well so I love the idea of having something productive to do while watching TV or chatting. Plus I love sweaters, socks and scarves. As an added benefit it seems like you can't knit for more than 5 minutes at a time without someone showing up and confessing a murder so that could be entertaining. If you love art theft books and haven't read The Man Who Loved Books Too Much you must go find a copy immediately. It's fascinating and well written and immediately made me want to start searching out first editions and unusual copies. It's hard to believe it's a true story! Homicide in Hardcover is the first in one of my favorite cozy mystery series. The main character is a book restorer and the descriptions of the books she working with just about make my mouth water! Ever since I discovered The Shell Seekers as a teenager I've wanted to visit Cornwall and see the place Penelope loved so much. It sounds so beautiful and so rich in history. A few years ago the library and I were not on speaking terms. It started with a bag of library books left at a hotel hours away from home (the moral of the story is don't leave the youngest child in charge of the bag containing stuff that MUST come back home) and the fines that accumulated because of that. Then there were some other fines that accumulated because I forgot to get to the library when I had a whole bunch of DVDs checked out. So we broke up and I thought it was for good. After being inspired by this book to get back to the library and discovering a branch that is just a few minutes away from my house I'm pleased to say I'm a library regular again! What have books made you want to learn or do? Why I Picked This Book: Food and murder are 2 of my favorite things to read about plus I had heard really good things about Wend Sand Eckel's last book - Murder at Barclay Meadow - which I own but for some reason haven't read yet. Right off the bat Rosalie is an easy character to like and relate too. She's still trying to get completely used to life after her divorce but things are definitely looking up. She's realized a dream with the opening of the cafe and is working hard to make sure that dream stays alive. I thought the employees of the cafe - Glenn, Crystal, and Custer - added a lot of personality to the book as they are all very different and have very distinct personalities but prove able to work together without too much conflict. Custer is especially intriguing as a young man who has many shadows in his past but is obviously trying so hard to stay on the right path. I like that he isn't an open book about everything and draws clear lines between work and his personal life. Glenn is a fantastic side kick and I enjoyed how he and Rosalie worked together. Rosalie's relationship with her daughter Annie was interesting and rang true as a mother and young adult daughter trying to figure out how that relationship works when the child has become an adult but is still dependent. That's a situation that I'm very familiar with and it really rang true here. There's a lot of townspeople and Cafe regulars that add a bit of depth and character to the town and the story. It feels like a real town but without so many people that it gets confusing. The actual mystery reminded me a little bit of Agatha Christie's Mrs. McGinty's Dead, where the accused is doing absolutely nothing to help himself (well herself in the case of this book) but the people around the accused are determined to figure out what really happened. 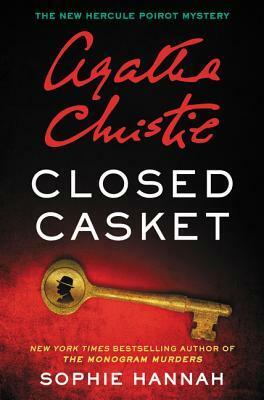 Lori isn't as unlikable as the accused in the Agatha Christie book but she doesn't always make the smartest decisions. The Sheriff also has his hangups when it comes to this investigation. He isn't completely incompetent but he lets his personal hangups and his own preconceptions heavily influence the way he investigates. Because of all that and because of Rosalie's friend Doris requesting her help it make perfect sense why Rosalie got involved. The mystery itself was well done. There are lots of little clues and not overdone red herrings through out the book and there are several side mysteries that may or may not be related. Rosalie does make a few jumps in logic but there was logic behind the jumps so it made sense. She also has a TSTL moment at the end but she does take precautions and given her past history with the Sheriff I'm willing to let that pass! I think I'd have done the same in her shoes. I think I might have appreciated this a little bit more if I had read the first book because I would have understood the relationships a little bit better - especially with Rosalie's business partner Tyler. However, I had no problem getting to know Rosalie and understanding her place in the town and keeping track of the side characters. This was an entertaining and well done mystery. While it is most definitely a cozy with an amateur detective and low levels of blood and gore I think it would be a good "starter cozy" for those who are new to the genre as the cutesy aspects are at a minimum. Above all, do NOT read this book on an empty stomach. There's lots of food discussions and it all sounds fantastic. I don't even like asparagus but I'd take a big bowl of that soup! Luckily there are some recipes in the back! Would I Read More of this Series/Author? : Yes! I have the first book in the series and I'll definitely be reading it as well as looking for the next book. Would I Recommend this Book? : Absolutely! If you enjoy a good mystery I'd definitely recommend Wendy Sand Eckel. Watching: We've finished the first season of Northern Exposure and absolutely loved it. It's so quirky and different and other than some wardrobe choices it doesn't feel dated at all. I just picked up season 2 from the library and we're looking forward to diving in. In the meantime we're watching Major Crimes on TNT which has been an old favorite though I did burn out on the Rusty subplot. He's kind of whiny but we discovered we like the show way better if we just fast forward through his angst-ing! 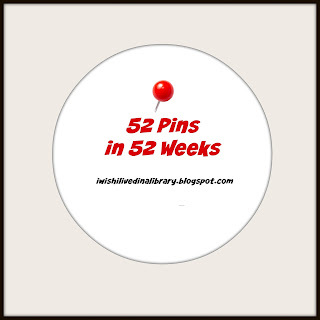 First off, if you follow me on Pinterest let my just apologize for the huge dump of clothing pins (and if you don't follow me on Pinterest you should - link is to the right and I'm almost done with all the clothes pinning). I just set up my Stitch Fix account and have become obsessed with my clothes pin board. My first fix will be here on the 28 and I can't wait! This week has been busy but really mostly for the Tornado. He had the last week of summer camp and also VBS. Both had a Star Wars theme so he was absolutely delighted and had such a great time with them both. His new school posted the teacher list so I'm having to come to terms with him starting a new school with a longer day and bigger classes. Next week will be school supply shopping and the week after school starts! I can't believe how fast summer flew by! We've had some bad news in that Paul is coming home soon on medical discharge. From what we've heard he's okay but we haven't heard all that much. Everyone will be very glad to see him though! After that is just figuring out what happens next but I have complete faith that it will all work out. It's not really a secret that two of my favorite activities are cooking and reading so when I find a book that combines the two it's automatically going to end up on my TBR. The problem is that there are a LOT of books that combine the two which has my shelves overloaded and books shoved into corners. To keep books I really want to read from getting lost in the piles I try and rummage through every once in awhile and pull out a few that I really want to read soon. 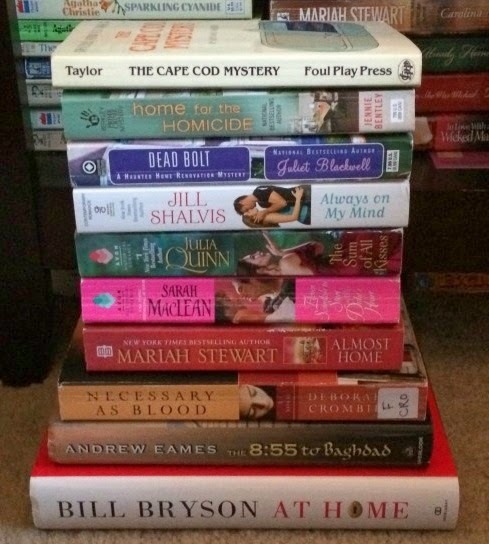 This time I ended up with 4 nonfiction and 6 cozy mysteries. Some have been out ages and a few are new releases. Almost all of them feature recipes which makes me super happy! 1. 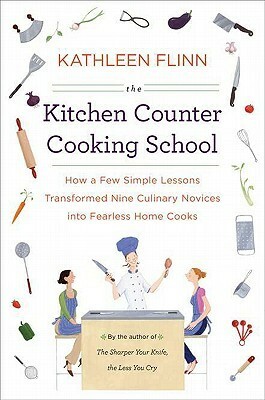 The Kitchen Counter Cooking School: How a Few Simple Lessons Transformed Nine Culinary Novices into Fearless Home Cooks by Kathleen Finn - Kathleen Finn is an author I've been wanting to read since pre-blogging days and this was the first book I got. I've managed to read (and love) 2 other books by her but somehow this one has been sitting on my shelf untouched for years. 2. American Pie: Slices of Life (and Pie) from America's Back Roads by Pascale Le Draoulec - Not only does this involve food and books but it also has a road trip! Plus lots of pie recipes. I know nothing about this one other than the title and blurb but I'm looking forward to it! 3. The Soul of a Chef: The Journey Toward Perfection by Michael Ruhlman - I've seen Ruhlman's name as a co-author on a number of cookbooks plus he's worked with Michael Symons who is one of my favorite chefs! 4. Consuming Passions: A Food-Obsessed Life by Michael Lee West - I remember absolutely nothing about this or why I got it which means I have had it for far too long without actually reading it! 5. 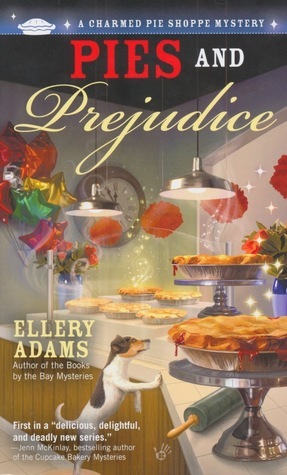 Pies and Prejudice (A Charmed Pie Shoppe Mystery #1) by Ellery Adams - Ellery Adams is a cozy mystery author I really haven't read which is weird because she has tons of books in multiple really great sounding series. This one has pies! And recipes for pies! 6. 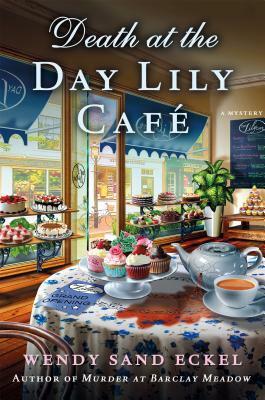 Death by the Dozen (Cupcake Bakery Mystery #3) by Jenn McKinlay - Murder and cupcakes - what more could I want? Other than a cupcake to eat while I'm reading about cupcake bakers solving murders. 7. Irish Stewed (Ethnic Eats Mystery #1) by Kylie Logan - I'm so excited about this one! 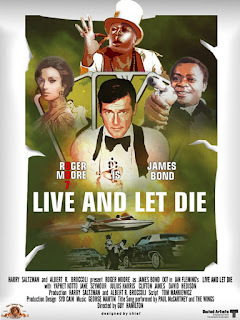 I love the idea of exploring different cuisines with a good dash of murder. I peeked at the recipe for Irish Stew in the back of this book and it sounds amazing! 8. Death al Dente (Food Lovers' Village Mystery #1) by Leslie Budewitz - Budewitz has a series set in a spice shop that is really calling my name but I was able to get my hands on this one first. This takes place in an old general store turned boutique market during a pasta festival! 9. Death Eat Street (Biscuit Bowl Food Truck Mystery #1) by J.J. Cook - Food trucks! I love food trucks and just the title of the series has me wanting biscuits. 10. Murder on the Rocks (Mack's Bar Mystery #1) by Allyson K. Abbott - So this one is more drink than food but there are plenty of times where a good cocktail is as neccesary as a good meal so I'm saying this one counts! Any foodie books coming up for you? Do you always put a book cover in a post when you are mentioning a book or just text? It depends. If I'm just mentioning a book I usually don't but if a large chunk of the post focuses on the book (like this one!) I do. Covers tend to be one of the major things that grabs my attention so I like to show them off! 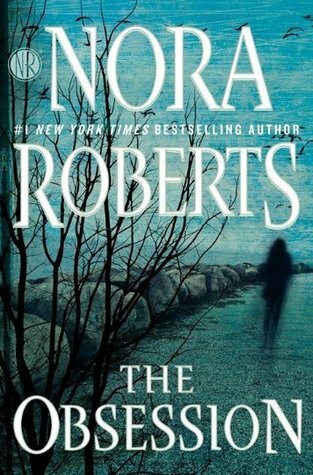 Every year Nora Roberts comes out with a new stand alone romantic suspense title and every year I know I won't be able to resist picking it up. This year's book - The Obsession is no exception. I've actually been in line for the library's e-copy for ages but when I saw the print copy sitting on the new releases shelf I couldn't resist snapping it up. I'm not very far in yet but so far I'm really enjoying it. It's fast paced and twisty and everything I've come to expect from one of Roberts' stand alones. She didn't know what woke her, and no matter how many times she relived that night, no matter where the nightmare chased her, she never would. Well that's an ominous beginning! It definitely sets the mood for what happens next. "And when he'd finished with her, he'd have gotten another. 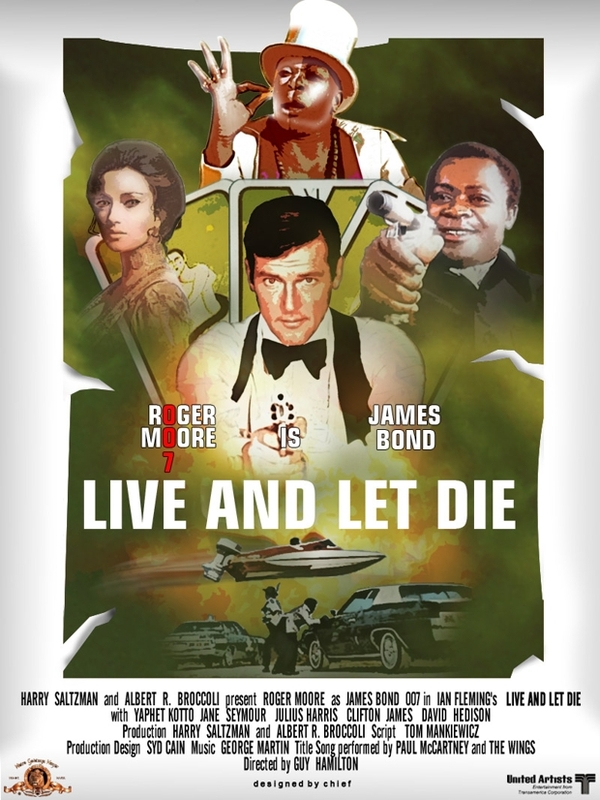 Who knows how many he'd have killed." I've read and watched enough serial killer books/shows that this is a familiar sentence. This is basically the sentence the entire Criminal Minds franchise is based around - not that I'm complaining, I love that show! So what do you think? Keep reading? Is there an author you can't resist if you see their newest on the shelf? Why I Picked This Book: To be honest I have no idea. I think I was in a NetGalley requesting fog and didn't realize what I was doing. I do like ghosts so maybe that had something to do with it? My Impression: Going in I had no expectations about this story. 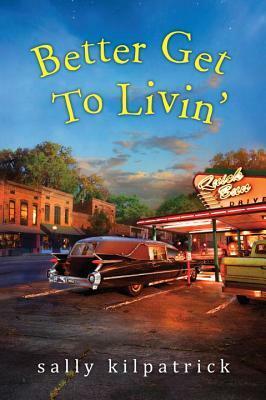 I haven't read anything by Sally Kilpatrick before, I hadn't seen many reviews for it, so I was kind of expecting your typical small town romance with maybe an extra dash of quirk. Turns out there is so much more! For one thing I have a hard time classifying this as a straight up romance. There is a romance but it doesn't take up much of the book - especially in the first 2/3. For starters this isn't your regular fictional small town with streets lined with cute little shops and friendly people. This is an actual small town with financial struggles, people with old grudges (though there are plenty of nice people too), and warring funeral homes (okay this isn't so ordinary - or at least I don't think it is). Declan, the reluctant director of one of the funeral homes, is relatively respected but hasn't quite lived down his high school nickname of "Cold Fingers" which is seriously killing his dating chances in Ellery. But that doesn't bother him too much until Presley Cline blows back into town. Presley has more than enough baggage of her own. She's living someone else's dreams, dealing with a very public humiliation, and trying to come to terms with hoer own hangups and identity. Throw in the being able to see and communicate with ghosts and a self-destructive mother and Presley is hanging on to her sanity for dear life. After natural and man made disasters throw Presley and Declan together the story really gets going but the book focuses more on the two of them finding their way to who they want to be than on romance though we do discover pretty early on that they've know each other for years and each had a crush on the other. The side characters are wonderful. There are a number that would have been so easy to cast as a straight up villain but at no time does Kilpatrick take that route. With one exception the characters are fully fleshed out, sometimes selfish, sometimes incredibly kind people. I loved the feel of family in the funeral home even though the Andersons' didn't always realize how much they leaned on each other. 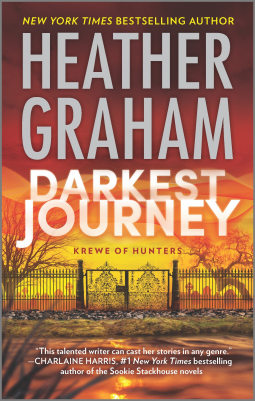 The structure is interesting as Declan and Presley share the narration in alternating chapters. Their POVs and voices are so different that I never had any trouble telling who was who and I enjoyed being able to get to know them equally. I was split on the ending - some stuff I had figured out, some stuff left me with my mouth hanging open but I enjoyed it all. This was my first book by Sally Kilpatrick but I don't see it being my last. She brings a unique voice and unusual well drawn characters to a pretty typical setting and it comes out refreshing and completely entertaining. Would I Read More From this Author/Series? : Definitely! This is the 3rd book set in Ellery, Tennessee and I definitely plan on picking those up and can't wait to see what comes out next. Would I Recommend this Book? : Yes! There's so much going on here that I think even readers who don't typically reach for romance would find something to enjoy in this one! Why I Picked This Book: A professional organizer and a 100 year old house! I couldn't resist it! My Impression: Last time we moved I swore I would never do it ever again. I was 7 months pregnant which meant I could do just about nothing which drove me crazy. J spent every night after work cleaning up our old house so we could turn it into a rental and that was first priority as we wanted to be paying 2 mortgages for as short of time as possible. In the meantime I tried to do what unpacking I could at home which wasn't very much because my doctor kept threatening bed rest as it was. But my move was a vacation compared to the mess Maggie McDonald lands in! For starters the house that was promised to be turnkey ready isn't and what's weird is that it was 5 months ago when Maggie and her husband had done a walk through. How could it have gone to great shape though a little dusty to looking like a tear down in 5 months? 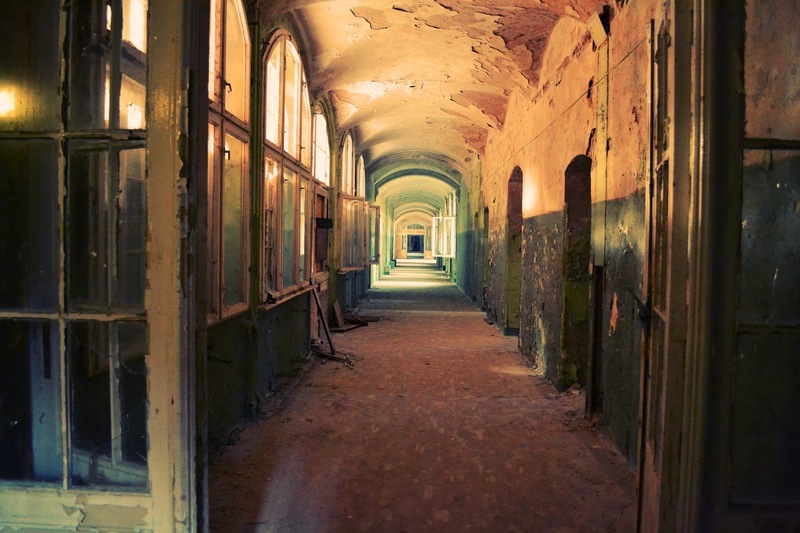 When the caretaker is found at the bottom of the basement stairs deceased and the police investigation turns up evidence that the state of the house is more due to vandalism than dilapidation it becomes very evident that the move isn't going to be the organized calm that Maggie had hoped for. I really liked Maggie. 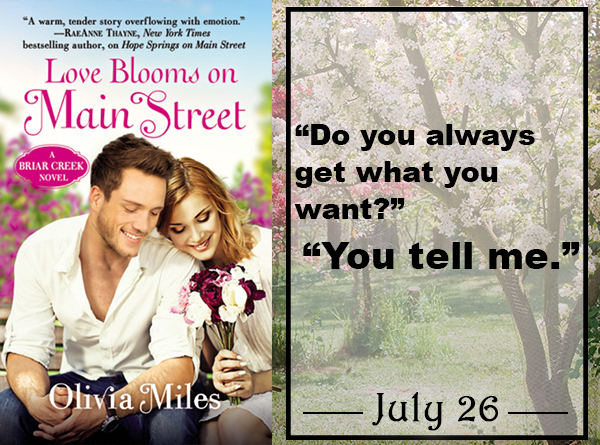 She's in a situation that has spiraled out of control - especially when Max ends up halfway around the world for a few weeks thanks to his new job - and is trying to keep her footing to keep things moving forward and provide her kids with some kind of routine. She feels like a real person with kids, a husband who travels a lot, and just too much to do. I've been in her shoes and think she and I would get along! I liked her children too. They're good kids but they read pretty true. They're trying to be helpful and responsible but sometimes they really just need that permission slip signed and turned in yesterday and go into full meltdown because it didn't happen because they didn't actually mention it to anyone. I loved Tess too with her dual personality wardrobe and her matter of fact view of her surroundings and the people that inhabit them. It's obvious that the author has spent her share of time on the school volunteer circuit. While the bulk of the characters are likable people even if they have their quirks there's always a few that just make things harder than they have to be or have their own inflated view of their own importance. It was fun to watch Maggie try and establish her place in her new community. I also enjoyed hearing about Maggie's job as an organizer. While she isn't actively working because of the move she does rely on her skill set quite a bit and each chapter is headed with an organization tip or reminder from her notebook. I also really enjoyed the mystery and there's a lot going on! There's vandalism, murder, arson, and any number of things that may or may not be connected. This is a full book as Maggie tries to figure out what's going on, get to know her new community and try and protect her family. The mystery itself made sense as did Maggie's reasons for investigating. This was a great introduction to the series and to Maggie McDonald. I'm already looking forward to my next visit to Orchard Valley and seeing what trouble Maggie gets into next! Would I Read More of this Series/Author? : Absolutely! I can't wait for the next book! I'm looking forward to spending more time with Maggie and her friends. Would I Recommend this Book? : Definitely! If you like cozy mysteries this is a great one to pick up. While there is a lot going on it never once was confusing and I just loved getting to know Maggie, her family, and Orchard Valley. 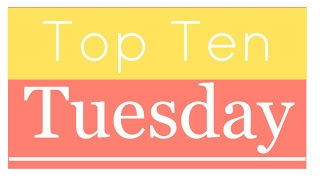 This week's Top Ten Tuesday Topic from The Broke and The Bookish is Ten Books I've Read that are Set Outside the US. I'm also taking the UK out of the mix because I go there a LOT fictionally and it'd get kind of boring if every book I listed took place in London! This made it a bit more of a challenge as I tend to not get too far outside my comfort zone geographically. 1. 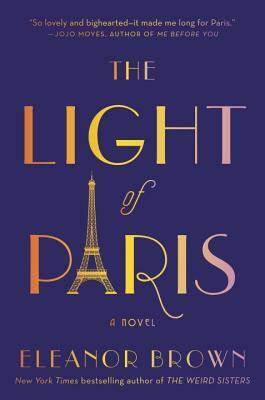 France - The Light of Paris by Eleanor Brown - This might be cheating because 50% of the book takes place in Tennessee which is basically half an hour away from me BUT the other 50% is wonderfully gloriously Paris and not just Paris but Paris in 1924! 2. Canada - Anne of Green Gables by L.M. Montgomery - Well all of L.M. Montgomery's books take place in Canada but the Anne books have placed Prince Edward Island in a special place in my heart. My husband and I were talking about the top 5 places we want to visit and PEI is pretty high on my list! 3. The Channel Islands - The Guernsey Literary and Potato Peel Pie Society by Mary Ann Shaffer and Annie Barrows - This might be another cheat since it's technically a British Crown dependency but I got such a feel of Guernsey itself with this book and Guernsey is cut off from anywhere else during the Nazi occupation that I'm going to count it. 4. 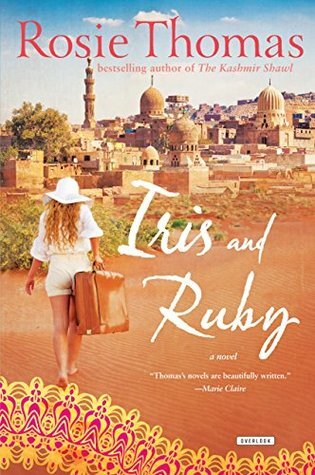 Egypt - Iris and Ruby by Rosie Thomas - This is another dual timeline book but both take place in Egypt though most of the characters are British. I enjoyed the modern day timeline but Egypt during World War II was fascinating and not something I knew really anything about. 5. Greece - Stars of Fortune by Nora Roberts - I loved visiting Corfu in this book. I could just feel the sun and smell the salt. Roberts' is wonderfully descriptive. While I did enjoy the story overall I think one of the reasons I enjoyed it so much was because of the setting. 6. Ireland - Secrets of the Lighthouse by Santa Montefiore - Ireland should have been billed as a character in this richly drawn book of a young woman trying to reconnect with herself and a family she never really knew. And there's a ghost! 7. 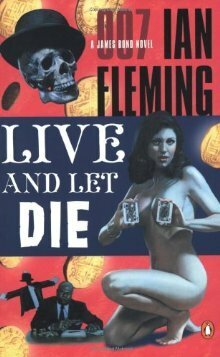 Jamaica - Live and Let Die by Ian Fleming - In the 2nd half of the 2nd James Bond book he spends half the time in Jamaica trying to finally hunt down the source of smuggled gold coins. There's lots of talk of the water, the superstitions, and the sea life. 8. 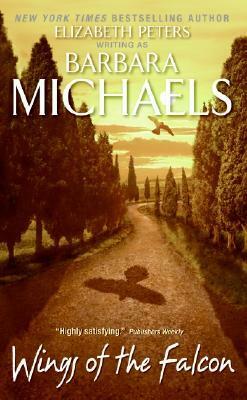 Italy - Wings of the Falcon by Barbara Michaels - I'm not going to lie - the bulk of my Italian history knowledge came from this book AND this was also the reason I wrote a research paper on Etruscan burial art and funerary practices in college. This is such gothic-y fun that I've reread it probably a dozen times and would love to reread it again soon! 9. Iraq - They Came to Baghdad by Agatha Christie - Christie actually wrote a number of books set in the Middle East but most take place on archaeological digs. This one is much more of a international intrigue with one of her girls with no families but a great deal of common sense main characters. So much fun! Where has your reading taken you this year? I started thinking about this topic when J and I were having dinner at a new restaurant. While we were waiting for the waiter we discussed what we each planned to order and discovered that we had each guessed correctly what the other person was going to order. This isn't too big of a shock considered we've been married for quite some time and have eaten who knows how many thousands of meals together but we started talking about how we knew and it all centered around magic words. I know if I see a menu item that involves "roasted garlic" J is most likely going to order it. Same goes for "balsamic". I'm slightly more complicated. Basically if he sees a main course with a description of something he can't imagine why anyone would want to eat that he figures I'll order it. 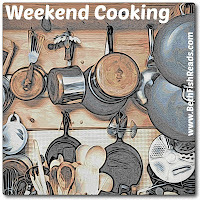 Otherwise, it's dishes that involve "butternut squash", "horseradish", "balsamic", "caramelized onions", or "gorgonzola". We have our anti-magic words too. Words that will make us run the opposite direction of a dish. Neither of us will order dishes with shrimp (I'm allergic, he thinks they're rats of the sea) or olives. I really really dislike olives. 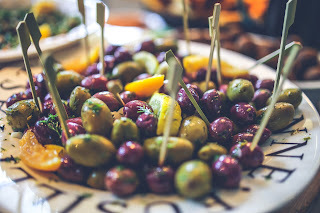 Like I have a full on rant about my dislike of olives. All of this got me thinking about books. In all those pretty shiny new books that come out every week what words jump out at me, make me pick some books over others? These are some magic words that will make me grab a book that I know absolutely nothing. The good thing is I seem to have more Magic Words than Olive Words! What about you? Do you have certain words that will make you pick up a book that you know nothing about? Words that make you hesitate even if it's by a favorite author? And do you like olives? If so, are there particular ones I should try to get past my hatred of them? Listening: Podcasts - I've really been enjoying Overdue about books you should have read by now and Read It and Weep which tears apart pretty bad books, movies and shows. Watching: J and I got the first season Northern Exposure from the library and have been watching it lately and really enjoying it. I forgot just how great that show is! Pokemon Go has taken over our lives this week. The Tornado is obsessed and I have to admit it's pretty fun. I don't understand all the fighting or the strategy but I'm all for the collecting! We've gone on a few walks through our neighborhood, a few local parks, and downtown when we went to the Farmer's Market the other evening. This weekend we're heading to the big outdoor mall to see what we can find there. We're also planning to go see The Secret Life of Pets and go out to dinner and do a little shopping but Pokemon Go will play a pretty big part! We'll probably also stop by the bookstore and I'm torn between some retail therapy and the knowledge that I'm not sure if I have any more corners to cram books into. Not surprising but my book acquiring has greatly outpaced my book reading! I had been thinking about the whole Pokemon Go thing but hadn't downloaded it or looked into it but on Monday Eleanor and her boyfriend came over and they'd been playing it. So we talked about it for awhile and it sounded pretty fun. And then Emma and her boyfriend came up from the town their school is in and they've apparently become obsessed with it. We went to dinner and Emma's boyfriend and the Tornado (who incidentally have the same name) spent most of the meal discussing the game and going through all the Pokemon the boyfriend had collected. After 2 nights of Pokemon Go talk there was no way we were going to get out of playing! We're closing in on the end of summer. The Tornado has one week of camp left and next week we'll see who his teacher in and a couple of weeks after that school will start. This summer has flown by and I'm not quite ready for it to end! The blurb at the beginning of this book called my name. It talks about rich sauces, meaty ragus with an unfussy execution and the focus on making delicious flavorful food. I love cookbooks that focus on tasty food made with real ingredients and a focus on getting back to the fundamentals of home cooking with cooking from scratch and simple ingredients. And Home Cooked is lovely. From the homey picture on the cover to the botanical prints on the endpapers to the beautifully photographed ingredients and finished dishes. It shows a lifestyle that I would love to emulate - clean without being sterile, homey without being cluttered and all the while relaxed content people who seem to be enjoying their meal. 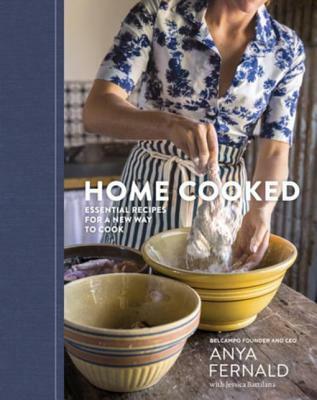 At the beginning Anya Fernald talks about how she got her start in food, farming, and butchering which was absolutely fascinating and her devotion to what she does is admirable. The cookbook starts out with a chapter called "Building Blocks" which I enjoyed. There are recipes for sofritto, aioli, all different kinds of broth, and a number of different sauces including a Traditional Uruguayan Chimichurri that sounds heavenly. After that it went a bit downhill for me - though really I should have realized that this wasn't the cookbook for me when I saw the recipe for "Trotter Broth". 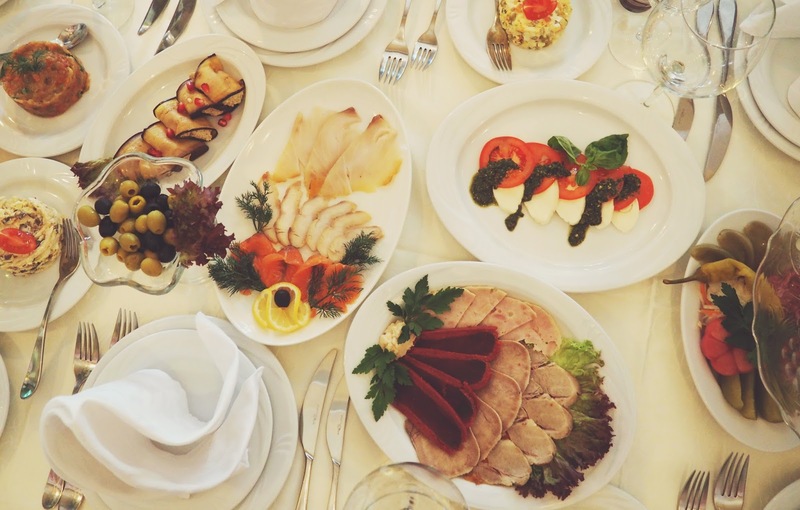 The chapters progress in the order of a meal starting with Snacks and drinks, followed by main courses and vegetable side dishes and ending in dessert. Unfortunately, the bulk of the recipes missed their mark with me. While I'm sure the recipes all end with a delicious result and start with a clear and easy to follow recipe I don't see myself sitting down to a meal of Roasted Peppers with Salted Fish as my starter, followed with Bird and Bunny Ragu, and ending with a Panforte which while it sounds amazing would require a trip to the specialty grocery store across town. The majority of recipes were either not for me because they involved organ meat (like Agrodolce tongue, braised tripe, seared beef heart, or grilled sweetbreads) meat that I don't care for or is hard to find (chicken fried rabbit, rack of goat, or squab confit), or requires too many steps to be something I make on a regular basis (tons of fresh filled pastas and homemade sausage). While not for me it is a beautiful book and would be wonderful for cooks who are a little more adventurous than I am. Today I thought I'd share two of the recipes from this book that I'll definitely be trying soon. I think they'd pair well with some really nice cheeses to make a lovely snack or something to sit out pre-dinner. Pack the grapes into pint jars. Add a spring of tarragon and a garlic clove to each jar. In a small saucepan over medium heat, combine the vinegar, water, sugar, and salt. Bring to a simmer, stirring to dissolve the sugar and salt, then pour the hot brine over the grapes. Let cool to room temperature, then cover tightly and refrigerate. Grapes are ready to eat in 1 day but will keep, refrigerated, for 1 month. Serve alongside confits, pate, or other rich meats. In a stand mixer fitted with a dough hook, combine the flours, water, olive oil, and salt. Mix on medium speed until smooth and elastic, about 15 minutes (this can also be done by hand). The dough should be very stiff and not all sticky; if necessary, add a bit more flour by the tablespoonful until it is no longer sticky. Cover the bowl with plastic warp or a clean kitchen towel and let stand at room temperature for 1 hour (at this point the dough can also be tightly wrapped with plastic wrap and refrigerated for up to 3 days). Preheat the oven to 350. Transfer the dough to a floured work surface and cut into four pieces. With a floured rolling pin, working with one piece of dough at a time, roll the dough as thinly as possible. Using a sharp knife or pizza cutter, cut into 3 by 1 inch rectangles. Transfer to two parchment lined baking sheets (the crackers do not spread, so you do not need to leave much space between them) and brush each cracker on both sides with olive oil, then sprinkle with salt. Repeat with the remaining pieces of dough. Bake, rotating the pans halfway through, until the crackers are blistered and golden brown, about 10 minutes. Transfer to a cooling rack and let cool completely. Bake the remaining crackers. The crackers will keep for 1 week in a paper bag. Reheat in a 300 degree oven for 5 minutes to recrisp if necessary. This book was received from Blogging for Books in exchange for an honest review. So I've been off schedule with the questions on the list and the question this week is one I answered 2 weeks ago. So I'm going to answer the question I missed and hopefully after that I'll be back on schedule. Name an author or authors that you have read the most of his or her books and would recommend to others. Well this one is easy! Definitely Agatha Christie! Not only have I read all of her 80+ mysteries but I've also read several of her books under the Mary Westmacott name and her nonfiction books like her Autobiography and Come Tell Me How You Live which is a memoir about her time on archaeological digs with her husband, renowned archaeologist Max Mallowan. If you're looking to try Christie's mysteries I recommend Death on the Nile (Poirot), Sleeping Murder (Marple), And Then There Were None (stand alone), Murder on the Orient Express (Poirot), and any of her short story collections. This week's book is from Mariah Stewart's Chesapeake Diaries, a series that I love but that I've had really mixed results with. I really liked the first book, DNF'd the 2nd, and like the 3rd. Then I went up towards the more recent releases and though #7 was okay but ended up loving 8 and 9. 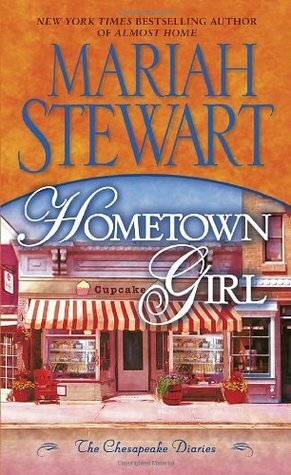 Now I'm back towards the beginning and am trying to catch up with the middle books starting with the 4th in the series, Hometown Girl. I've met the main couple in other books and liked them so I have hopes that this one will not disappoint. At the moment the moon began its descent and the sun started to rise, the back door of the old farmhouse opened and a petite woman with a long strawberry blond ponytail stepped out onto the porch. Well this isn't the most attention grabbing first sentence but it does give me a picture of both the house and the main character. "Can we speak frankly?" Curtis's eyes had narrowed almost to the point of slits. He didn't wait for a response. "Your father was a great disappointment to me. How do I know the apple hasn't fallen too close to the tree?" I know enough about the story from later books to understand Curtis's point of view but I can imagine how frustrating it would be to be judged by the sins of those that came before you. So what do you think? Keep reading? Do you have a series that reads inconsistently but the good is good enough that you're not ready to let it go?